Bringing complete care to life. Here, in addition to high-quality cosmetic care and preventive care to protect your teeth and gums, you’ll find comprehensive dental care that spans nearly every major dental specialty and treatment type. Why run from one specialist to another when you can find everything your smile needs in one place? Restorative care – One of our specialties is restoring and replacing missing teeth. In addition to making your smile whole and healthy, we can help you enjoy steak, apples and corn on the cob again. Whether you are already missing teeth, about to lose a tooth, have a broken tooth or are in need of reconstruction (due to accident or illness), Dr. Hollenberg can help. Your options include precision-crafted porcelain crowns and bridges to make your smile complete again. Endodontics & periodontics – We perform 95% of our patients’ root canal treatments. Often, we can do the entire procedure in a single visit, saving you time and inconvenience. We also specialize in nonsurgical gum care. Dr. Hollenberg conveniently addresses all your gum health needs. When your tooth troubles begin with unhealthy gums, they often end with For Smiles Only. 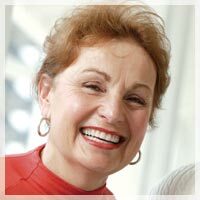 Cosmetic dentistry & preventive care – We’ll do everything possible to keep your smile healthy for a lifetime, including gentle, thorough cleanings and helpful instruction on home care. To make your smile truly brilliant, we handle everything from home whitening to porcelain veneers, tooth-colored fillings, cosmetic bonding and extreme makeovers to give you the smile and confidence you’ve always wanted. Bringing more caring to you. At For Smiles Only, we don’t treat teeth and gums. We treat people. In fact, with all the listening, conversation, understanding and caring we do, you might say we treat them like our own family. But what really sets us apart from most other dental offices is the dedication, convenience, skill and quality we deliver to every patient, every day. We even offer a five-year guarantee on all dental work (with annual checkups and good oral hygiene). Call us today and discover what thousands of other patients have already discovered. Enjoy comprehensive, high-quality dental care and multiple dental health specialties under one roof while we bring your smile to life. 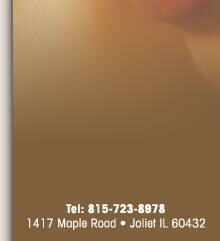 For more information or an appointment, call 815-723-8978.